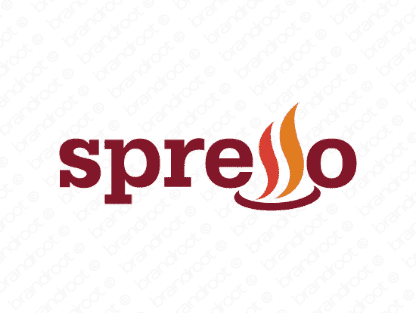 Brand spresso is for sale on Brandroot.com! A stylish and snappy invention riffing on the word "espresso". Spresso has a breezy and attractive quality with unique associations for a wide range of coffee and social related brands. You will have full ownership and rights to Spresso.com. One of our professional Brandroot representatives will contact you and walk you through the entire transfer process.